HIGH POINT, N.C. — An industry-driven training program designed by and for local furniture manufacturers has achieved 100 percent job placement for eligible students at Guilford Technical Community College. Graduates of the first furniture sewing class offered at GTCC have entered the workforce, fulfilling the need for these in-demand positions. GTCC partnered with more than a dozen local furniture companies in the Piedmont Triad to develop the furniture sewing course. 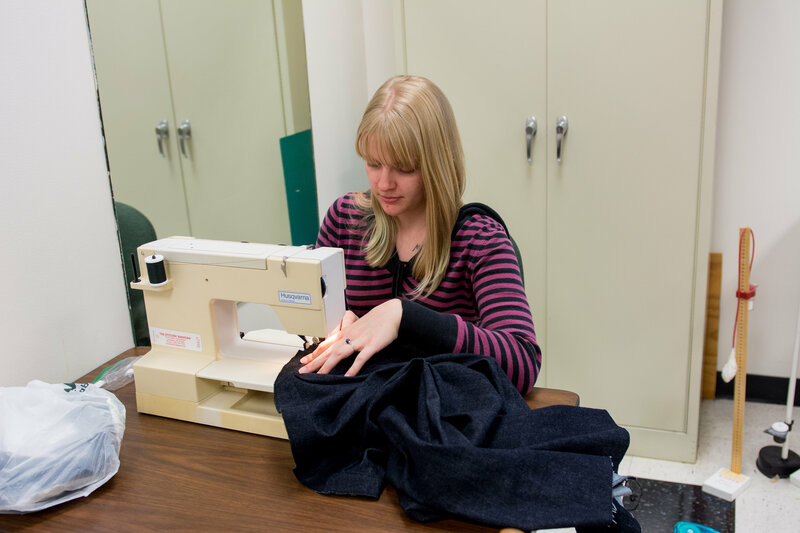 Students learn the skills needed to sew upholstered furniture and operate industrial sewing machines. The equipment replicates what is used by area manufacturers, exposing students to what they will experience on the job. The course is part of a pilot program to build a skilled workforce to support local industry. Registration is now open for the next class which runs June 4, 2018 – Oct. 3, 2018. Furniture Sewing is taught at GTCC’s High Point Campus Monday – Wednesday from 6 p.m. to 9 p.m. Students who successfully complete the class are eligible for entry-level jobs in the furniture industry. The cost for the course is $188 plus approximately $45 for tools. The average starting wage for sewing in the future industry is $9.50 to $11.50 per hour. Average wages with experience is $13 to $14 per hour. For more information, contact GTCC Director of Business & Industry Training Steve Castelloe at srcastelloe@gtcc.edu or 336-334-4822, ext 57002.